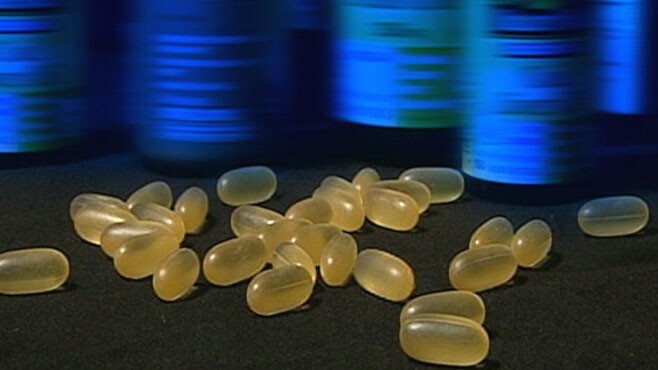 WATCH Are Fish Oil Pills Contaminated? Tilapia for red snapper; catfish for grouper; oil fish standing in for cod; farm-raised shrimp and salmon in place of wild caught. These are just some of the common swaps that Will Gergits says his company, Therion International, sees when it conducts simple, inexpensive DNA testing on fish. "It's a real problem," Gergits said. "We see substitution quite frequently. It makes me angry." A new report released this week says recent studies have found that seafood may be mislabeled as often as 25 percent to 70 percent of the time. According to Food and Drug Administration port inspections, a third of seafood sold in the U.S. is mislabeled as one type when it's actually something else, even something cheaper. Experts say, however, that the FDA has failed to step in and make sure that Americans are getting what they've paid for when they eat fish. "We found that in our testing of over thousands of samples [in] over 50 cities nationwide, about 50 percent of the time the fish you are eating -- high-end fish you are eating at restaurants -- is not the fish that is on the menu," Gergits said. "Some less expensive product is being served, instead." Because the price of fish has gone up 27 percent in the last decade, fish producers can make millions by substituting cheap fish for the sought-after type. In Mobile, Ala., today, former seafood company executive John J. Popa was given 13 months in prison for his role in a fraud involving mislabeled fish. He had pleaded guilty in September and admitted to passing off imports of sutchi, swai and basa as grouper and other expensive seafood. The environmental group Oceana released a report Wednesday titled "Bait and Switch: How Seafood Fraud Hurts Our Oceans, Our Wallets and Our Health" that said although 84 percent of the seafood eaten in the U.S. was imported, only 2 percent was currently inspected. "We think the FDA needs to really step up enforcement of the existing laws that are designed to protect American consumers," said Michael Hirshfield, a chief scientist at Oceana. "The law already makes it a crime to mislabel seafood and the FDA hasn't really taken it seriously enough." The group says fish fakery is a health problem and an environmental one, as well. Farm-raised salmon can contain more fat and antibiotics. And some tropical fish carry ciguatera, which can cause devastating neurological effects similar to multiple sclerosis. Often, endangered species are sold as more common types. "American consumers would be outraged if they ordered roast beef and they got horse meat or God forbid, whale meat," Hirshfield said. "They should be outraged if they order snapper and they get tilapia or some endangered species." "I think American consumers should be really unhappy about the fact they are not getting what they pay for when it comes to ordering fish a really large percentage of the time," he said. The FDA has purchased five DNA testing machines and hopes to start testing for fish fraud by the end of the year. Oceana said it wants the FDA to require fish to be tagged, tracked and then tested. "As we do this testing," Therion's Gergits said, "we can't understand why there is not more legislation, not more proactive action to curtail this sort of behavior." The National Fisheries Institute, the nation's largest seafood trade association, started the Better Seafood Board in 2007 to deal with fish fraud. Spokesman Gavin Gibbons said the mislabeling of fish was not just species substitution, "it's fraud and there are very real consequences for perpetrating fraud." Do a test at home. Look at fish. Wild salmon stays red after cooking. The red coloring in farm-raised salmon fades during cooking because the fish are fed red pellets to get their color. Buy whole fish rather than fillets because they are much more easily identifiable, or choose a whole fish at the store and have it fileted as you watch. Avoid the most processed fish. When fish is cut into unidentifiable little pieces and buried in breading or sauce, it's even easier for producers to get away with fish fraud.